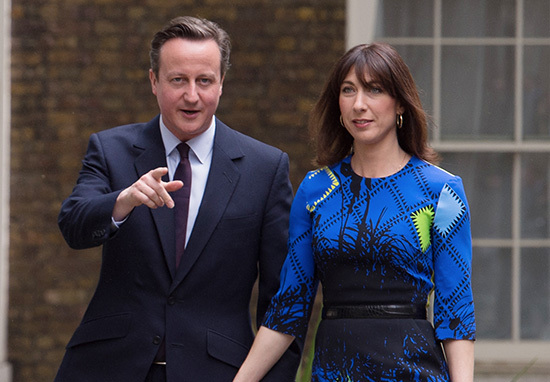 When David Cameron left office, I really didn’t want my next sight of him to be in bed with his wife. David and Sam Cam celebrated 21 years in their marriage with an incredibly weird photo of their feet. I don’t like to think about the moments leading up to this photo or how many takes Samantha had to take in order to capture their cosy moment. Lots of commenters congratulated the couple on Instagram, but this foot photo makes me feel nothing other than light nausea. It’s almost reminiscent of those hot dog legs photos that people post on the beach. The pair, who are enjoying the post-Prime Ministerial life, are on holiday in Andalusia, Spain. I guess when you’ve been bound by strict social media rules for so long, and are suddenly freed onto Instagram, you panic and post feet? But at least one Tory Prime Minister -albeit former- has made a public appearance in the run up to June 8.